You'll be playing Little Walters 'JUKE' till your lips turn blue. These little vintage Japanese harp mics from the 60's are always popular, the main reason being it is the type of mic the great Little Walter used to famously create the sound of amplified harp for the first time. The only photograph of Little Walter shows him holding a mic like this. Back in the 60's Shure release the 777 mic and Japan made a more affordable version of it, every electrical brand under the sun released them but they were essentially the same mic under a different name. It's the Japanese models that Little Walter used, version is by Fentone. This harmonica microphone comes in extremely rare condition from the 60's, as new in an original box totally untouched in its original packaging with a mic holder attachment and neck hanger, I only took the one in the picture out of its wrapper for a better photo, I got a couple of these and I have kept that one. The mic being all original has no quarter inch plug on the end so this is how it will arrive with you. 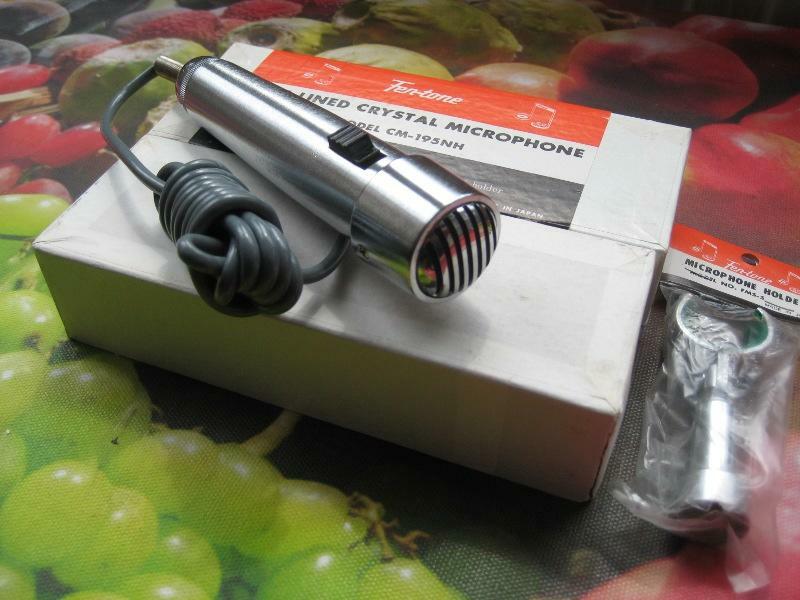 GREAT VINTAGE HARP MICROPHONE TO BUY, HARMONICA GIFT MAYBE!